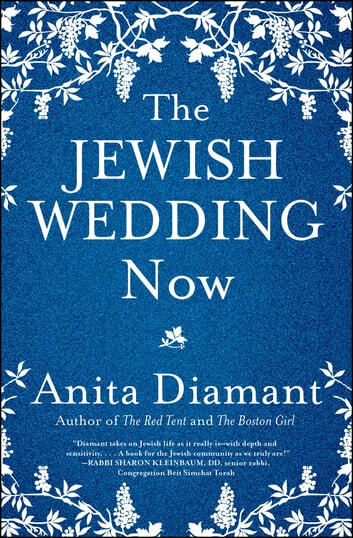 Newly revised and updated, the definitive guide to planning a Jewish wedding, written by bestselling novelist Anita Diamant—author of The Red Tent and The Boston Girl—and one of the most respected writers of guides to contemporary Jewish life. This complete, easy-to-use guide explains everything you need to know to plan your own Jewish wedding in today’s ever-changing world where the very definition of what constitutes a Jewish wedding is up for discussion. With enthusiasm and flair, Anita Diamant provides choices for every stage of a wedding—including celebrations before and after the ceremony itself—providing both traditional and contemporary options. She explains the Jewish tradition of love and marriage with references drawn from Biblical, Talmudic, and mystical texts and stories. She guides you step by step through planning the ceremony and the party that follows—from finding a rabbi and wording the invitation to organizing a processional and hiring a caterer. Samples of wedding invitations and ketubot (marriage contracts) are provided for inspiration and guidance, as well as poems that can be incorporated into the wedding ceremony or party and a variety of translations of traditional texts. 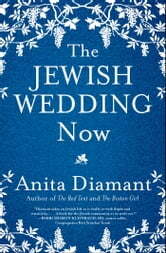 “There is no such thing as a generic Jewish wedding,” writes Anita Diamant, “no matter what the rabbi tells you, no matter what the caterer tells you, no matter what your mother tells you.” Complete, authoritative, and indispensable, The Jewish Wedding Now provides personalized options—some new, some old—to create a wedding that combines spiritual meaning and joyous celebration and reflects your individual values and beliefs.